I just found this site and thought it was appropriate. 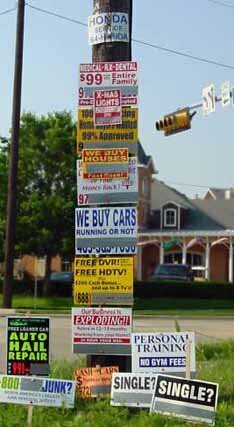 Citizens against ugly street spam is an organization of people who are fed up with this type of illegal outdoor advertising. They go as far as to tell you how to make the tools required to remove this junk, and I think it's pretty awesome. Take a look.